Suzuki make a range of city and family friendly cars with reliability and value in mind. The models include the Celerio, Ignis, Swift, Baleno, Jimny, Vitara and SX4. 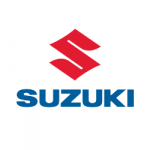 At Little Green Car we've got some amazing Suzuki lease offers the best of which are our Best Buys. If you can't see the Suzuki lease deal you want please contact us.